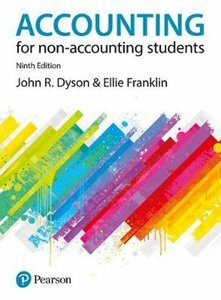 Accounting for Non-Accounting Students is a highly reputed text for is accessibility and clarity. The book combines user-friendly language and real world examples making it ideal for students with little or no prior knowledge of Financial or Management accounting. The text covers the essentials of book-keeping and the rules of accounting in a non-technical style and teaches students the right questions that all non-accountants should ask who want to excel in their studies and career.